Welcome to the day after Halloween, too much candy hangover, take the leftovers to work, full moon, November 1st edition of the Leadership Development Carnival. There's no bottom of the treat bag dum-dums in this edition - nothing but full-size snicker bars. So grab your candy bag and get ready to fill it up with some sweet advice, opinions, and ideas from some of your favorite leadership bloggers. You can also follow many of these bloggers on Twitter by using this Twitter group, courtesy of Becky Robinson. We lead off with Wally Bock presenting Let’s hear it for the role models posted at Momentor. Next up is Mary Jo Asmus presenting Choosing posted at Mary Jo Asmus. Anne Perschel presents Never Waste A Good Recession posted at Germane Insights. Steve Roesler presents Team Leaders: Do You Do This? posted at All Things Workplace. Becky Robinson presents Leading in Relationships posted at Mountain State University LeaderTalk. Ideas for leaders to ponder when using metaphors to inspire followers: Jennifer V. Miller presents In the Family Way posted at Jennifer V. Miller. Mark Stelzner presents What Costume Are You Wearing? posted at Inflexion Point. Chris Young presents Maximize Possibility Blog: Are You a Victim of "Satisfactory" Performance? posted at Maximize Possibility Blog. Bret L. Simmons presents Leadership Integrity: Touchy-Feely Crap? » Bret L. Simmons – Positive Organizational Behavior posted at Bret L. Simmons - Positive Organizational Behavior. Can you teach someone to be a great leader? Or does something else have to happen? Wally Bock presents Can leadership be taught? posted at Three Star Leadership Blog. Mike Myatt presents CEO Success...It's not Random posted at N2Growth Blog. Everyday management lessons from a popular reality TV show: Sharlyn Lauby presents What I've Learned About Business From Mike Rowe posted at HR Bartender. This post is a description of my most recent personal journey to do hard things: Michael Ray Hopkin presents Do hard things posted at Lead on Purpose. Adi Gaskell presents How far are you spreading your talent web? posted at The Management Blog. Alice Snell presents Home Grown Leaders Get Respect posted at Taleo Blog - Talent Management Solutions. 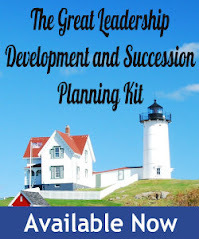 This is a list of the 7 books that were most influential in my develop as a leader: Tom Glover presents 7 Books That Made Me the Leader I Am Today posted at Reflection Leadership. Some important takeaways from the recent "Talent Management Challenge" around Strengths focus and Self-assessments: Amy Wilson presents A Couple Things to Learn about Leadership posted at TalentedApps. The most important actions that foster engagement aren't rocket science; they just require a little consideration and common sense. Miki Saxon presents Ducks In A Row: The 7 Word Genius Of Engagement : Leadership Turn - Articles, tips, and resources about leadership. posted at Leadership Turn. Lisa Rosendahl presents On NOT Making a Decision posted at Lisa Rosendahl. Building the bench is not reserved for good economic times. It is just as critical when times are tough and is a critical leadership responsibility. Tom Magness presents Building the Bench posted at Leader Business. Bill Matthies presents Business Wisdom: Words to Manage By posted at Business Wisdom: Words to Manage By. Janna Rust presents Leadership & Management: What's the Difference? posted at Purposeful Leadership. If you're looking to develop leadership talent in your organization, start by getting the support of your top executives. According to the preliminary results of i4cp's major new study on leadership competencies, conducted in partnership with the American Management Association, executive support is the number-one factor that contributes to proper leadership development. Erik Samdahl presents It Takes Good Leadership to Develop Good Leaders - i4cp posted at Productivity Blog. As more and more followers yearn for their leaders to be real, this post explores what steps are needed to lead with authority. Eric Pennington presents So Many Masks, So Little Time posted at Epic Living - Leadership Development Career Management Training Executive Life Coaching Author. Management must strive to transform their organizations into engaged and authentic communites during the next 10 years. David Zinger presents Henry Mintzberg on Creating a Community of Employee Engagement posted at David Zinger Associates. Anna Farmery presents Who is at the centre of your world? posted at The Engaging Brand. Wayne Turmel presents Why can't IT speak our language? posted at TPN :: The Cranky Middle Manager Show. Silence truly is golden, it allows your mind to soar, explore and be creative; it also encourages you to become friends with yourself. Miki Saxon presents MAPping Company Success posted at MAPping Company Success. Nick McCormick presents Ready to Take ?The Leap?? posted at Joe and Wanda on Management. There are many theories on every aspect of leadership. The reason for this amount of theories is that leadership is complex and variant. Given the importance of effective leaders in any organization, the companies try to ask many questions for evaluating leadership characteristics of a candidate. Nissim Ziv presents Leadership Interview Questions and Answers: Examples of Skills for Leaders posted at Job Interview & Career Guide. Dan's note: this one's a little off the theme of leadership, but it's a great list of writing resources: Barbara Williams presents The Ultimate Guide to Better Business Writing: 100 Tips, Tools, and Resources posted at Online Degree Programs.org. Albie presents Your personality affects your global leadership style posted at iDevelopWorld. Bill Bubenicek presents 10 Ways To Get A Seat On A Small Business Advisory Board posted at BoardMyBiz.com. Here are a few tips to help you create powerful presence when you open any presentation: Angela DeFinis presents Create a Powerful Presence posted at DeFinis Communications. Kara Wirt presents Good questioner = good person posted at Dr. G.
Linda Jones presents 101 Business Books Everyone Can Learn From posted at AccreditedOnlineColleges.org. This post is about how managers can help survivors of layoffs and keep them productive and committed to the company: Aaron Windeler presents Helping survivors through layoffs: the importance of feeling in control posted at Scientific Management. Trent Cotton presents 7 Ways to Increase Morale and Productivity posted at Helping Businesses Succeed. Karthik Raj G presents What makes a good leader? posted at KARTHIK RAJ G.
I became more productive and focused throughout my day by waking up earlier. Learn the techniques I used to accomplish much more with my business. Ralph Jean-Paul presents How To Wake Up Early Without Hating It: My 3 A.M. Experiment posted at Potential 2 Success. Leaders need to be sure they are taking care of themselves, so they can bring the most benefit to others. Erin Schreyer presents Be the Best You, To Be the Best Leader posted at Authentic Leadership. When hiring new employees, jargon specific to the workplace should not be used or explained up front. Dallas Bragg presents Watch that Workplace Jargon! posted at Developing Daily. Jane Perdue presents Losing Your Leadership Wings posted at Life, Love & Leadership. Bob Lieberman presents The Identity Crisis posted at Cultivating Creativity – Developing Leaders for the Creative Economy. Albie presents 10 Reasons why you should keep a journal posted at iDevelopWorld. This blog posts discusses how to manage whining into a constructive activity: Elyse presents How to manage Whining with no Problem Solving posted at Anticlue. That's it for this month's edition! Next month's Carnival will be December 6 , 2009, hosted by Mark Stelzner, at Inflexion Point. Use the Carnival Submission Form to submit your post. Wow Dan, what a carnival. And when does one have time to do anything else with all these selections? Can you tell me that?! And what else could be more important?